Imagine a world where businesswomen and men everywhere can fight gender inequality with a simple tool — collaboration. As part of the nation’s increasingly influential millennial generation, I am humbled to consider myself among a number of Vietnamese women in business that are positioned to be strong role models for the next generation. Others include established entrepreneurs Mai Kieu Lien and Nguyen Thi Mai Thanh, both entered in Forbes most powerful in Asia list, and Nguyen Thi Phuong Thao, a self-made aviation billionaire. .Yet, the fact persists that for businesswomen, the playing field is still not level. By leveraging my role at THP, producer of some of Vietnam’s bestselling drinks, I am on a quest to dismantle sexism and bias for females in business around the world. The timing couldn’t be better. Against the backdrop of the explosive #MeToo Movement, and its many local and global offshoots, I want to use my thought leadership to empower women. My vision is for a like-minded campaign to inspire the business world: #StandTaller. Using #StandTaller as a launching pad for change, I imagine a world where businesswomen and men everywhere can fight gender inequality with a simple tool — collaboration. In my new book Competing with Giants, I call on women to stand up and be counted by refusing to inappropriately defer to men or fall into stereotypical roles. Those five words — “do I have your support?” — are critical, because women cannot eliminate sexism on their own. We need men to help us dismantle it. The good news is that more and more men are eager to do this. I believe cooperation between the sexes is key to empowering women and delivering greater business performance. Along with my mother, Madam Nu, and sister Bich, who are also core figures at THP, I hopes to shift norms in a male-dominated society. THP is doing its bit to ensure women have an equal voice by creating opportunities and supporting female employees to believe in its motto — ‘Nothing is Impossible’. The $2.5 billion family-run business currently has ten senior directors. Four are women. The ‘Nothing is Impossible’ mindset is applied across all facets of THP’s operations and company culture. It’s an approach that encourages success through being daring and thinking differently. All employees are urged to have a can-do attitude and find creative solutions to navigate challenges. Empowering women is just one part of a collective commitment to dream big and do big. It also helps that our father has never discriminated between men and woman. He just wants the right person for the job. He likes to use the analogy about a block of wood. It does not matter what kind of wood it is, because it can be carved according to need. While THP is keen to embrace traditional family values, the Confucian view that persists in modern-day Vietnam that a “woman should obey her father as a daughter, her husband as a wife, and her sons in widowhood” is one the business is actively counteracting. Vietnam’s history has, in many ways, contributed positively to gender equality. The country is ahead of the curve compared to other parts of East Asia, thanks to its struggle for independence from colonial rule. In other parts of the world during conflict, women get involved. In Vietnam’s case, they contributed to the war effort by organizing supplies, making weapons, acting as spies and even going to combat. Ho Chi Minh, one of Vietnam’s most influential political figures, laid a strong foundation when he said: “If women are not emancipated, socialism is only half-established”. Under his longstanding leadership, he introduced numerous measures to achieve this. As a result, women’s rights were formally enshrined in the 1946 constitution across all spheres of life: political, economic, cultural, social, and family. Vietnam has a long history of having to stand up for itself, and women have played an active role in doing that. This has made Vietnamese women more emancipated than in other parts of the region. 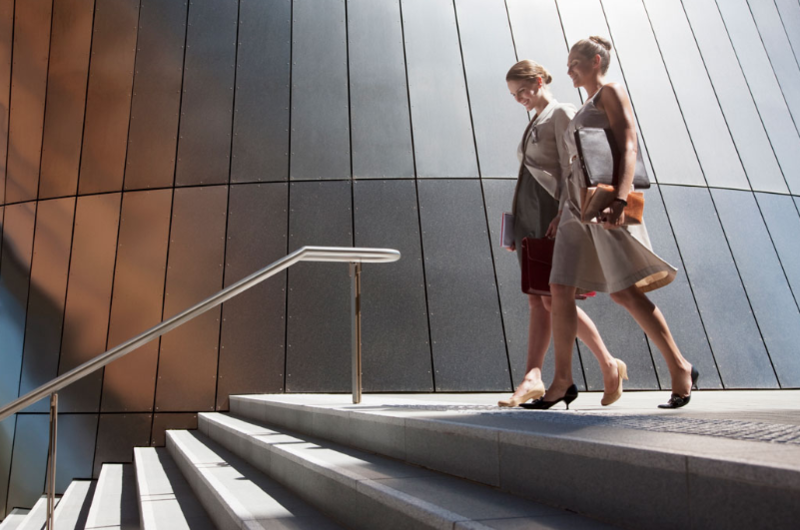 Amid great social change, things are improving on many fronts for women in business. But there is still much work ahead. Seventy-three percent of women in Vietnam are engaged in the workforce compared to 82 percent of men, this promising figure hides the fact that many of these women are in low-paying roles. According to the United Nations International Labour Organization (ILO), Vietnam only ranks seventy-six out of 108 countries in terms of female managers. Women in East and West continue to struggle with underrepresentation in high-level business roles, imbalances in child caring responsibilities, access to capital and unconscious bias, among other factors. As a Harvard-educated businesswoman, I fuse Asian savvy and Western thinking to add her voice to the gender equality conversation. Her #StandTaller campaign strives to combat entrenched gender bias and promote better dialogue between the sexes. As I have discovered as a woman entrepreneur, sexism is alive and kicking. I have been propositioned a number of times while on business outside THP offices. One time, a high-level contact exposed himself when I stepped into his office. After momentarily freezing from shock, I quickly walked out. The next time we scheduled meeting, I made sure to bring someone else along. Despite my share of #MeToo moments, I refuse to be defined by them. I comes from a legacy of resilient women in business who excel even in the toughest circumstances. My paternal grandmother refused to live her husband’s shadow. She contributed by working in his building-materials business and later launching a trucking business. My mother has been another pivotal entrepreneurial woman role model. Strong and business focused, Madam Nu was determined to escape the fate of many girls like her from lower socio economic backgrounds: teenage marriage. In a vivid example of her fiercely independent nature, she turned down a wealthy young admirer because he was stealing money from his parents to buy her gifts rather than earning the money himself. I tell what happens next in Competing with Giants: “He got angry and told her that women who do not rely on their husbands have no worth. She retorted that the reverse was true. “In the future, I will be the one earning money for myself and you’ll be the one depending on other people,” she replied.” Her prediction, at least the first part, has rung true. I am passionate about building on the gains made by the women in her family by advocating women’s rights. And I trust that by leveraging the differences between males and females, and fostering mutual support, more women in business will rise to leadership roles and help their companies to thrive. As it stands, all evidence points to businesswomen outperforming their male counterparts.